If you’re reading this, then you know that Third Place Commons serves our shared community like no other organization. 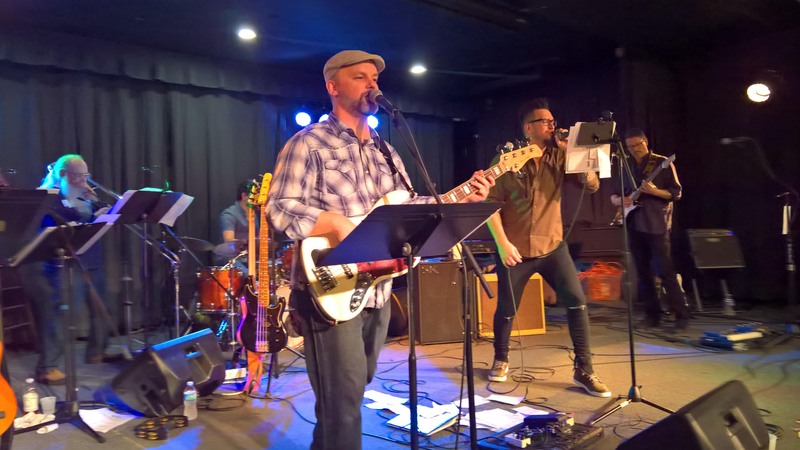 From free music and dancing every Friday and Saturday night to the Lake Forest Park Farmers Market from May to October, from weekly Kaleidoscope Play & Learn sessions for toddlers to weekly Mahjong Mondays for seniors, the Commons offers something for everyone. From the novice to the most experienced pro, all are welcome at our monthly Art-Ins, Wednesday night Game Nights, and many foreign language conversation groups. 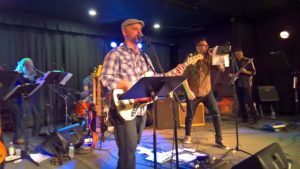 And we are proud to present both performing artists we book ourselves and the programs of dozens of community groups and partners we gladly host on our stage and in our space. Truly, Third Place Commons is all about fostering real community in real space. You are that community. 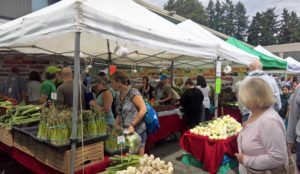 You are the community that gathers in our space, joins in our events, shops in our market, and thrives together at the Commons. This is your Commons Community. And your gift makes it possible. 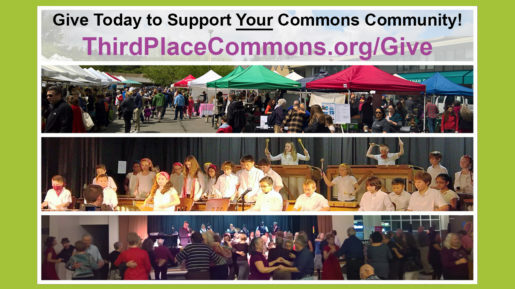 On this #GivingTuesday, will you make a gift to Third Place Commons? #GivingTuesday is the International Day of Giving. It falls each year just after Thanksgiving, Black Friday, and Cyber Monday, as a reminder after a long weekend of consumption just how good giving back to our community can feel. It’s also the day that officially kicks off the end-of-year season of charitable giving. 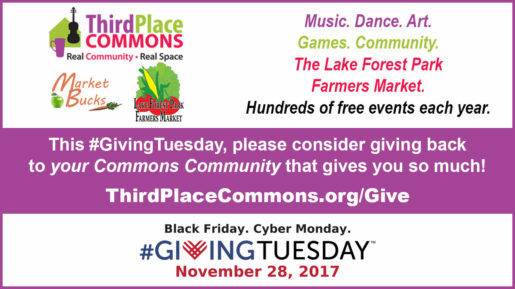 Third Place Commons is a 501(c)3 nonprofit organization, which serves our shared community with nearly a thousand free events each year, thanks to the support of donors like you. And local donors also make it possible for the Commons to provide local neighbors in need with access to healthy, farm-fresh produce, meats, and more at the farmers market through the Market Bucks food assistance program. When you give to your Commons Community, you help ensure that Third Place Commons always remains a safe and welcoming space for everyone. With your support, Third Place Commons will remain… Always fun. Always free. Always here for you, your family, your friends, and your Commons Community.